Source: Davidson County WWII and Korean Veterans Memorial, Lexington. Photograph courtesy of Natasha Smith. A rectangular copper plaque contains a figure of an eagle and lists the names of those killed during WWII and the Korean War from the surrounding area. A smaller plaque just below it lists those killed in the Korean War. Erected by the Joint Veterans Committee / American Legion, V.F.W., AmVets and D.A.V. The Lexington Square located at the intersection of Main and Center streets is home to the Historic Davidson County courthouse along with several memorials and markers. The Confederate Dead monument stands in the southeast quadrant of the square, at the intersection of S Main and E Center streets. The northeat quadrant (intersection of E Center and N Main streets) hosts memorials to Davidson County Vietnam War and Afghanistan Veterans, WWII and Korean Veterans, and WWI Veterans who died in the Great War. 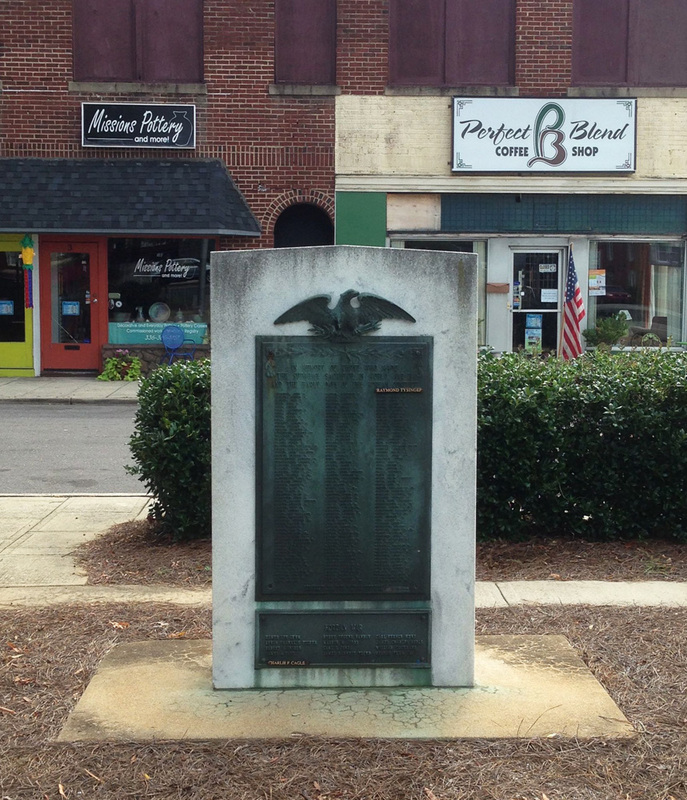 A marker to Daniel Boone and Nathanael Greene stands on the northwest quadrant (intersection of W Center and N Main streets) right by Captain Benjamin Merrill and City of Lexington memorials. Bushes and trees surround the quadrant with memorials. 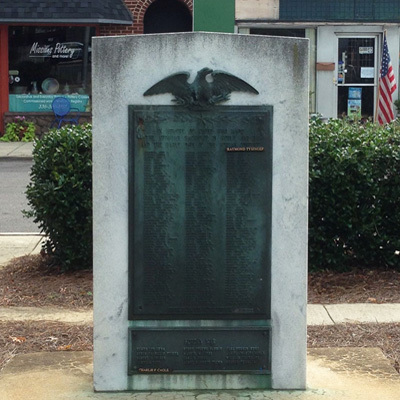 A brass plaque was added to the WWII monument sometime after the mid-1970s as a memorial to the veterans of the Korean Conflict, in which 12 Davidson County men were killed. On Sunday May 29th, 2011 the Davidson County Veterans Council's hosted the 66th Annual Davidson County Veterans Memorial Service at Lexington Square. The name of Josh T. Harris, a US Navy Seal who died in 2008 combat operations in Afghanistan was added to this monument. The name of Charlie F. Cagle was added to the appropriate plaque on the nearby World War II/Korean War marker. He was killed during the Korean War but his remains had been recently found and returned to the United States. The Davidson County Veterans Council holds annual Memorial Day services at Lexington Square in downtown Lexington.